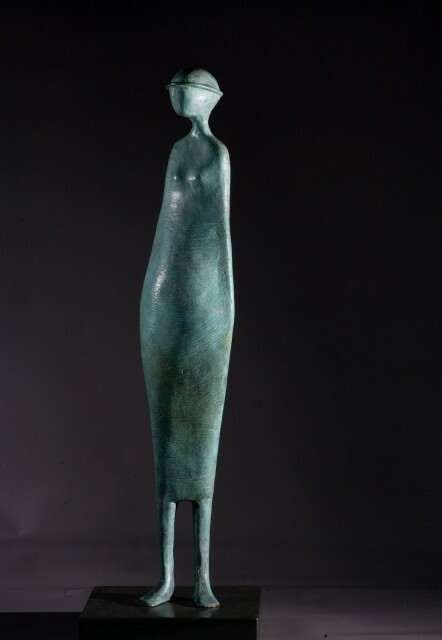 The subject of JENNIFER WATT's work is most often the human form; expressive, with a simplicity inspired by nature. WATT's latest body of work is influenced by long shadows cast by figures while on a residency in the south of France. These are in a variety of mediums and scales, most often in bronze and bronze resin but also in stone and cement. JENNIFER WATT was born in Dumfries and graduated from Duncan of Jordanstone College of Art (Dundee.) Eventually, in 2000, she established a studio closer to her Dumfries roots.